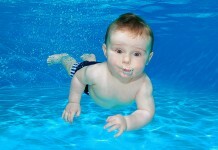 Did you know that babies have the natural ability to swim? This is due to two intelligent reflexes: the swimming reflex and the dive reflex. 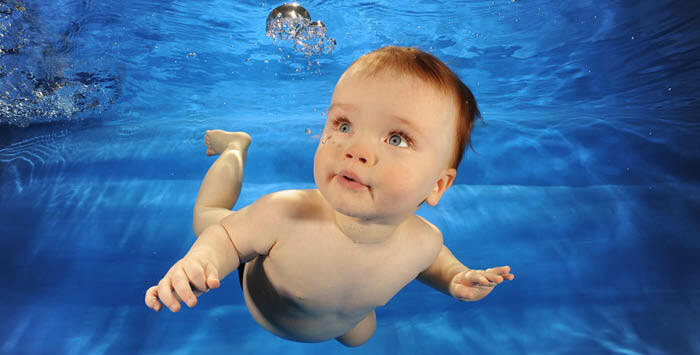 The former means baby will move their arms and legs in a swimming motion when supported in the water with their tummy-side down; the latter means your baby can hold their breath and open their eyes when underwater. These reflexes are strongest in the first six months of life. And, NHS guidelines say babies don’t need to have had their vaccinations before they can swim. No wonder Baby Swimming is on the up! “This magical time spent one-on-one with your little one in the relaxed environment of a warm swimming pool offers the chance for parents and carers to spend regular, and quality, bonding time with their children every week,” explains Paul. Lessons also help your child gain confidence in the water and learn a potentially life-saving skill. “Most of our toddlers can swim short distances by around the age of two,” says Paul, “and have mastered vital skills including how to turn around and hold on and, where possible, how to clamber out.” This offers fantastic safety skills should they ever fall into water. Though as children lack the strength and coordination to swim properly until they’re around three or four years old, they won’t be learning front crawl just yet! • Using this time of day to create a fun, aquatic environment will help your baby thrive in water, viewing it as something to be enjoyed and loved. This will make the transition to the pool much easier down the line. 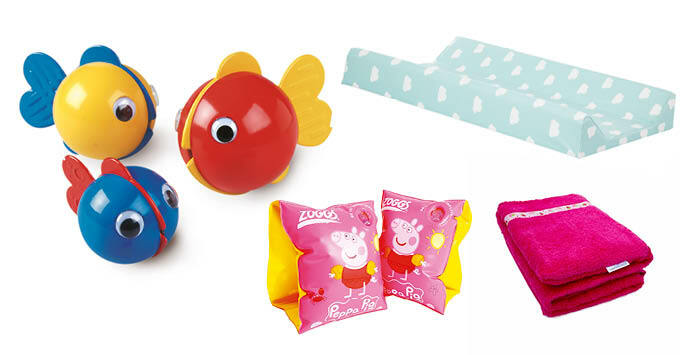 • Encourage lots of splashing by playing with toys in the bath. maintaining lots of reassuring eye contact. • Wrap them up in a lovely warm towel once bath time is over to keep them warm. 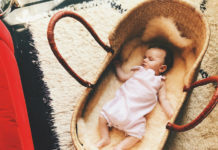 • Check the pool temperature – it should be at least 32 degrees if your little one is under three months old or less than 12lbs in weight, 30 degrees if they’re older or heavier, and think about investing in a baby wetsuit if necessary. • Teaching babies to swim from birth is a skilled profession, requiring considerable in-depth knowledge. However, there is fairly limited regulation, so it’s vital that as a parent you take the time to make a well-informed choice about which classes you choose to take your budding swimmer. • Don’t be afraid to ask questions. 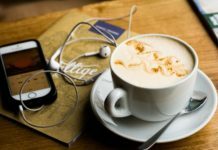 A good company will be happy to answer your questions and this will help put your mind at ease. Incredibly, every Water Babies teacher could have trained as a private pilot five times over in the time it takes them to fully qualify! Plus, they’re the only ones who can obtain a national diploma in baby swimming. • This will help you feel confident that you have everything you need. 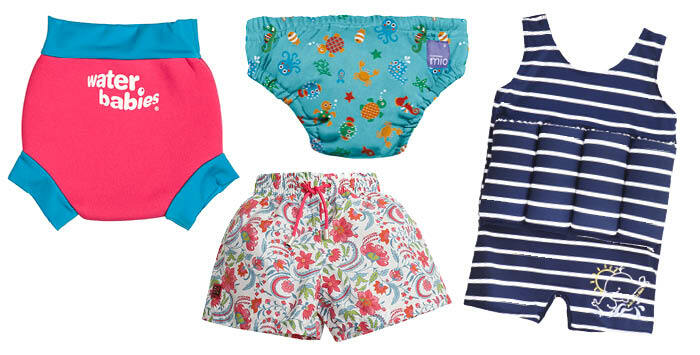 – Swim Nappies: Find out the pool’s policy, which may include an over nappy as well as a reusable swim nappy. – Changing Mat: So you can change little one safely on the floor rather than a bench. – Snuggly Towels: For both baby and you, to help you dry off and stay warm. – Cosy Hat: To keep baby warm afterwards. • If you are starting lessons, try to take your baby to the pool before the first one. Spend time on the side getting them used to the noises, colours, splashing and general hubbub of the pool environment – these will all be much louder than at home! • As you enter the pool together for the first time, smile and talk to your baby to reassure them it’s a fun experience. It’s really important that you are calm and positive as they’ll take their cues from you. Get your shoulders under the water and hold your baby so the water covers their chest. Through the session, try alternating between holding your baby very close, with lots of reassuring skin-to-skin contact, then at arm’s length, so they can move freely and feel a bit more independent. • This is arguably the most important step! Baby swimming is a relaxing and enjoyable activity, perfectly designed to enhance the parent-child bond. The emphasis should always be on you feeling like you’re evolving at your child’s own pace, and on both of you having lots of fun.